Sheena Linehan, patent attorney at IP law firm Potter Clarkson talks about the new EU medical devices regulations and why IP strategy needs refreshing. The new EU regulations governing medical devices (MD) and in vitro diagnostic devices (IVD) came into effect in May 2017 and their full application will commence in 2020 and 2022 respectively. Planning and action should start now to make the most of the opportunities and minimise the threats of the new regulations. One area where new strategies may be needed is Intellectual Property (IP). The new regulations impose substantially increased requirements for clinical evaluation and evidence, which should promote innovation; increasing transparency may accelerate its adoption. To be compliant, MDs must demonstrate an acceptable benefit to risk ratio based on a thorough and objective clinical evaluation. Certain types of high-risk MD will require clinical investigations to demonstrate safety and performance in human subjects. Clinical performance studies will be required for IVDs, including a demonstration of clinical benefit and scientific validity. In addition to facing ongoing responsibilities relating to the follow-up of the quality, performance and safety of devices, manufacturers are obliged to have sufficient financial protection for potential liability. All participants in the supply chain have defined responsibilities under the Regulations. Innovation and quality will become bigger drivers of competitiveness, and innovators may need to place a greater focus on IP to maximise return on investment. Transparency and data reporting – opportunity or threat? Eudamed, the European database on MDs, will be expanded by Spring 2020 to include more data and will, for the first time, be accessible to stake-holders. Currently, only national competent authorities and the European Commission can enter or access data, but the new Regulations provide for tiered access by manufacturers, sponsors, importers and the public. 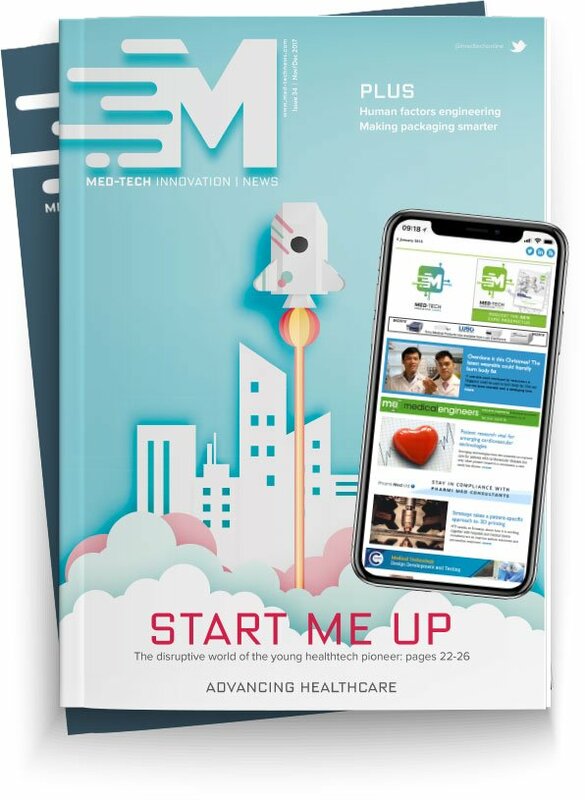 A branding strategy for MDs and IVDs underpinned by registered trade marks may assume a greater importance in view of both the public availability of clinical performance summaries and new possibilities for public and clinician awareness of best-performing products. Although the regulations provide for protection of commercially confidential information and trade secrets, more information is likely to enter the public domain at an earlier stage. Good communication between a company’s IP and regulatory personnel will be important to ensure that regulatory submissions destined for public disclosure on Eudamed do not prejudice IP registrations. A public disclosure of a device will invalidate later-filed patent applications for the device in question, for lack of novelty, and may also render developments of the device obvious, this being a further ground of invalidity. Innovators should take steps to avoid non-confidential disclosures in the context of a clinical trial, and may need to re-evaluate the timing of patent filing programmes. Although the European Patent Office (EPO) generally considers clinical trials to be in principle confidential, decisions of national courts may vary. It is good practice to require external personnel involved in a clinical trial to sign confidentiality agreements. However, depending on the circumstances, this alone may not be enough to ensure that the materials tested in a clinical trial will be regarded as confidential. An EPO Appeal Board revoked Bayer Pharma’s patent for the oral contraceptive Yasmin, in view of a clinical trial which it held to be an invalidating public disclosure. Although the principal investigators had signed confidentiality agreements, the patients had not, and not all of the unused product was returned at the end of the trial. The Board considered that the unused product was “publicly available”, and that a practitioner in the chemical arts could have discovered its composition and reproduced it. The safest option for innovators seeking to avoid the pitfalls of non-confidential disclosures is to file patent applications before commencement of clinical trials. The planned public availability of Eudamed raises the question of whether competitors will be able to launch “follow-on” devices based on the innovator’s clinical data. For a different manufacturer to rely on clinical data of an existing MD, they must prove equivalence of the device and have access to the technical documentation of the original manufacturer on an ongoing basis through a written agreement. Nevertheless, patent or design protection will be important in preventing third parties from seeking independent regulatory approval for “follow-on” products. In addition, the IVD regulation seems to offer greater opportunity for reliance on other sources of clinical performance data. The MD regulation includes provisions for reprocessing of “single use devices”, which EU Member States may choose to opt into. Original manufacturers could be liable alongside a “reprocessing” manufacturer for product defects; IP rights may therefore assume an increasingly important role as a tool to limit “reprocessing” in order to limit potential liability. Registration requirements, as well as liability requirements, may constitute significant barriers to market entry, but innovators seeking to shore up their position should be proactive in their IP strategy, and consider patent, trade mark and design protection at an early stage.